In the normal course of the day, some calls will take longer than expected. As a result, agents will go to breaks or lunch later. You may also have situations when someone needs to take a quick break because they had a really tough call and are just not mentally ready to take that next call. Forcing agents into 100% adherence is a bad idea as it will ultimately harm your contact center. Agents will feel pressured to cut off customer calls without taking call resolution into account and customer experience will drop for calls that agents don’t feel mentally prepared for. I recommend to calculate the adherence target based on handle time length. The reason is that there will always be variances in handle time . You can control many factors that influence adherence. With handle time, this is often not possible. There will always be calls that go long and run over someone’s break. These agents not only go to break late, but they also come back late. This means you will have them on the phone when you don’t expect them to be there. And you will have them off the phone when they are scheduled to take the next calls. So handle time is an important metric that influences your adherence target. If you have an average handle time of 3 minutes, you should have a different target than if you have an average handle time of 12 minutes. In contact centers with longer handle times, you will have calls more likely to go over break time, and the total number of minutes is likely to be higher. This means a higher percentage of their schedule will be out of adherence. And keep in mind, that’s just the average. Some calls may last 15 minutes and some may last 9 minutes. The best way to craft a schedule adherence goal is to take the average handle time and multiply it by 3. So if it’s a 10 minute handle time, that’s 30 minutes. Divide that number by the total number of scheduled minutes. If your typical agent works 8 hours a day with 2 paid 15 minute breaks, that’s 7.5 scheduled hours or 450 minutes. The formula then is 30/450, which equals 6.7%. Subtract this from 100% to get your target. In this example, the schedule adherence target would be 93.3%. I’ll explain why we did the math that way. As I mentioned above, there are a lot of reasons people will be out of adherence. The best practice is to only use the average handle time, because that’s completely understandable and normal in a contact center. You need your agents to finish the call properly and not just rush to take a break. That leads to bad customer experience. 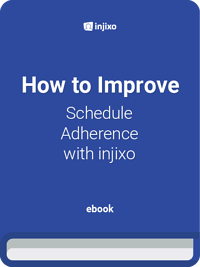 The other factors that lead to schedule adherence variations should be discouraged, so you don’t want to add those into the calculation. The reason we multiply the average handle time by 3 is it assumes that all 3 breaks (2 paid breaks and a lunch) all go over - and they go over by the average length of a call. Of course this isn’t perfect, but it is a simple explanation and is reasonable. In reality, they likely won’t go over for all 3 breaks. This gives agents some allowance for other variations they may have. So it does care for that as well. I recommend looking at your existing schedule adherence goal and compare it to what your goal would be using this method. If your target is more lenient, then you may want to consider proposing a more aggressive goal using the logic and formula in this blog. 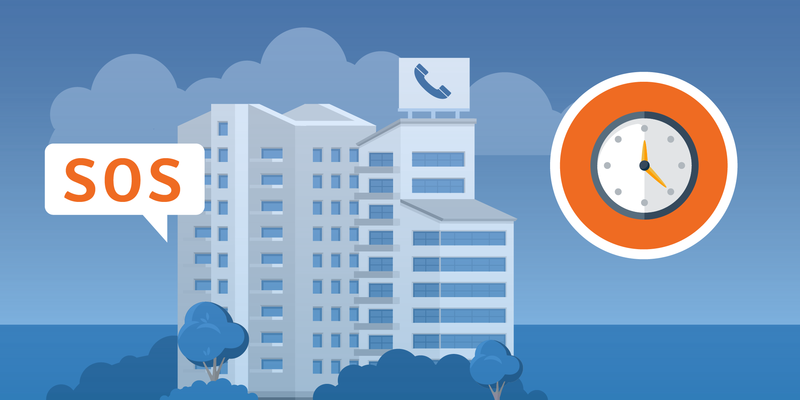 Your call center will improve efficiency and service level consistency with a stricter target. If you calculate adherence targets for different lines of business or call types, you’ll have different targets as their average handling times vary. However, the reality in most contact centers is that they just have one goal for all agents in place, regardless of the call type. This often penalizes the agents that have longer handle times. The method proposed in this article helps to introduce more fairness. Apply this to your organization and see the benefits!